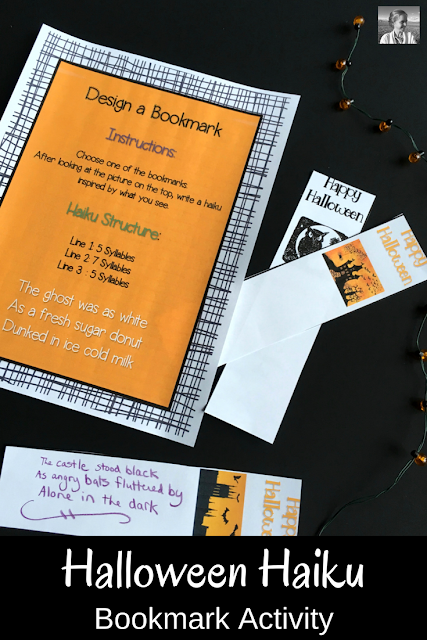 Want to engage your writers with fun Halloween lessons, activities and writing prompts this October? 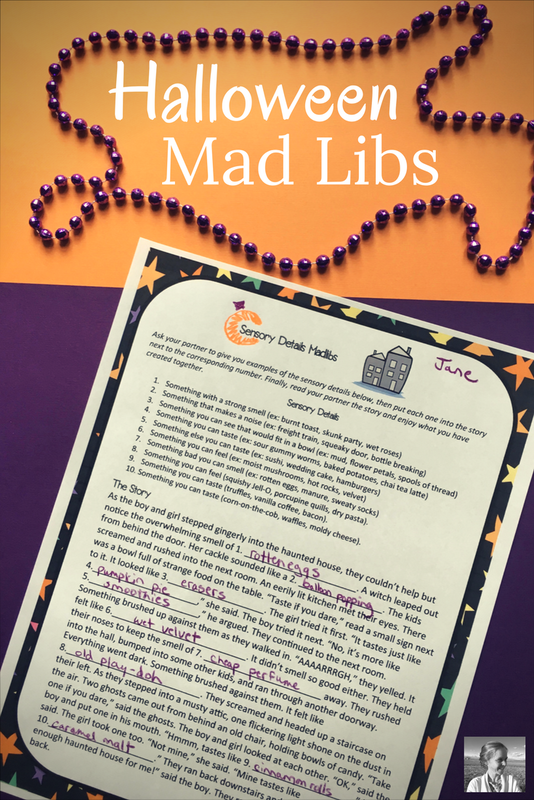 This post is all about saving you time and energy but allowing you to be creative and enjoy the holiday with your students. This bookmark activity is fun for writing stations or a Halloween party. Students create bookmarks featuring a Halloween haiku. You can D.I.Y. the activity by cutting out strips of paper and making your own sign with instructions for how to write a haiku. Or you can pick up my version (as pictured) right here. 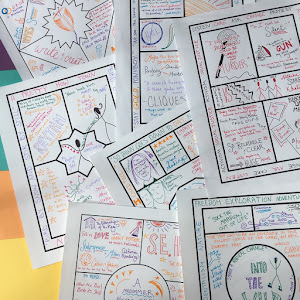 Story cards are a fun way to help students skip the writer's block and enjoy crafting a story. They simply choose form stacks of character, setting and conflict cards and then write their stories. You can D.I.Y. 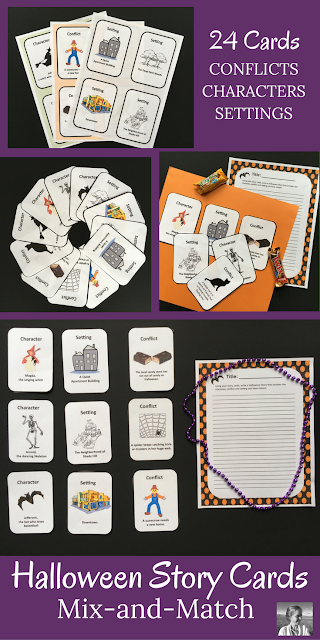 this Halloween activity by creating groups of cards with specific characters (for example, a bat named Bobby who is scared of the dark), specific settings (for example, a candy store that has run out of candy), and specific conflicts (for example, two kids bought the same costume and want to wear it to the same party). Or you can pick up my version right here. In this fun October activity, students ask each other for sensory images they can plug into a Halloween story, then read the results out loud to each other. To D.I.Y. 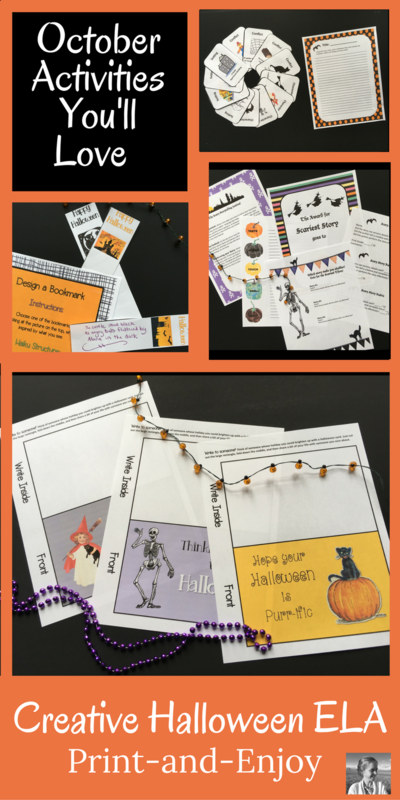 it, write a Halloween story leaving numbered gaps wherever you can include sensory images. Then at the top list the types of images students will need to fill in. Or, you can pick up my version right here. In this creative writing unit, students are invited to write scary stories focusing on their use of sensory detail. After brainstorming details, they write their stories and share them with the class. 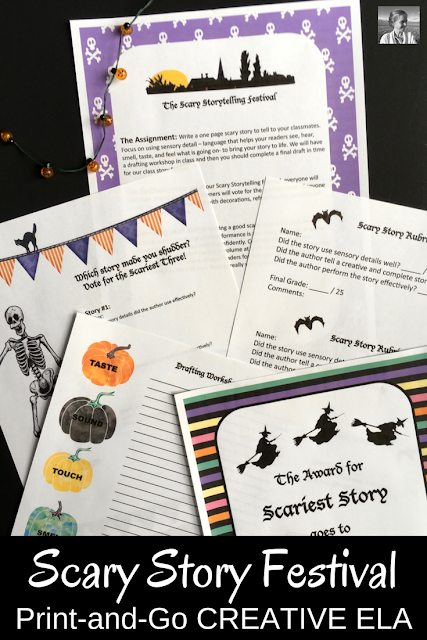 The students vote on the scariest and you grade the stories with the simple rubric and award The Scariest Story awards included in the packet. You can invent handouts of your own to walk students through these steps, or you can pick up mine right here.